It is common for students at graphic design colleges to display their art work to other students and even to the public through exhibition events and gallery showcases; it is not common for faculty members to get the opportunity to do the same. However, that is the opportunity afforded to three faculty members at the Alfred University School of Art and Design in New York. Their works of art will be on display through the end of this month and promises t be an exquisite gallery of high-quality work from those teaching the next generation of students. According to Alfred University’s website, teachers from the schools programs in printmaking, graphic design, and sculpture have been on display at the school since the end of February; closing only for the college’s spring break period this week. One of the teachers is a graduate of the School of Art and Design at Alfred University while the others graduated from equally prestigious colleges in the country. The graphic design teacher, Nick Kuder, is a graduate of Brown University and serves as the assistant professor of graphic design at Alfred. His qualifications include his studies in printmaking at Brown and he is a graduate of the Rhode Island School of Design in graphic design arts. Kuder went on to earn his MFA at Cranbrook Academy of Art. The graphic design teacher’s message about the work he has on display at the school is one of fusion between what humanity considers to be technology and what it considers to be biology and features printed works of art that take biological forms and morphs them into digital and technological influenced images. 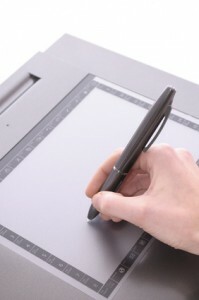 The arts programs and graphic design school at Alfred is supported by state-of-the-art technology through computer labs, image output equipment, and various advanced tools in animation and others forms of artistic design. The school offers graduate and undergraduate programs, as well as MFA’s in integrated electronics and other unique art disciplines. An event usually reserved for students, a graphic design teacher and other faculty members put work on display at a design school….